An installation of Bright Goods LED filament lamps has helped recreate the atmosphere of a traditional Bavarian schloss, or country house, within Manchester’s newest music and entertainments venue. Albert’s Schloss, which is located in Peter Street beneath the city’s Albert Hall, is a popular daytime destination for business and social meetings. 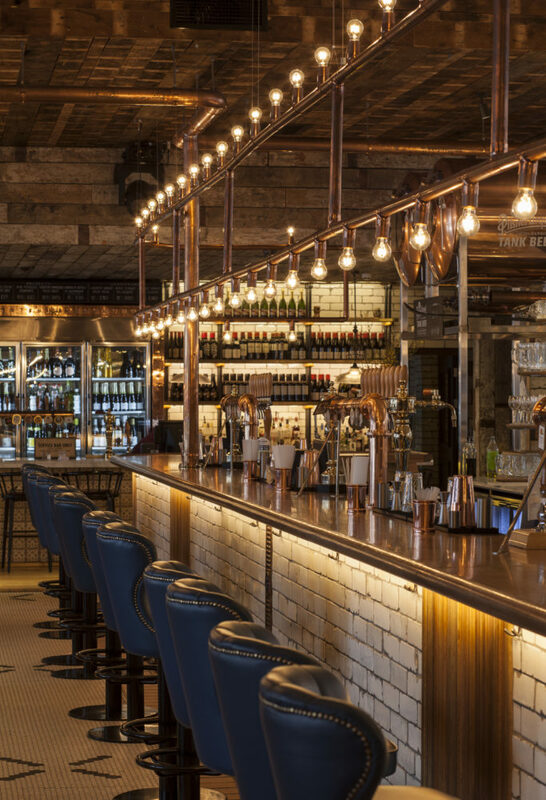 However, as dusk approaches, it transforms seamlessly into an energetic, live music beer hall where Bright Goods LED filament lamps complement the overall ambience and experience. One of the UK’s foremost lighting design specialists, The Light Corporation (TLC), was commissioned to design a spectacular lighting system that not only achieved the performance of incandescent bulbs but also ensured flexibility, versatility and energy efficiency. At the heart of TLC’s innovation design is an imaginative installation of Bright Goods Josephine LED filament lamps augmented by an impressive array of George LED filament globe lamps. Designed to provide a timeless vintage feel, the Bright Goods LED product range includes a wide selection of popular shapes, including globes, squirrel cages, candles, long tubes and traditional GLS bulbs to create the designer-induced decorative glow, previously only the territory of energy-hungry incandescents. require replacing in less than a year, all lamps in the Bright Goods LED range are fully dimmable and provide a high-performance lifespan of 30,000 hours which is around ten times that of a conventional filament bulb.